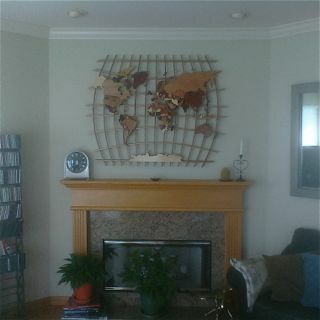 Andy from San Fransisco submitted this picture of the World Map he purchased from us. The World Map is created using over 90 different woods. Thanks for the submission Andy!